Hawaii Volcanoes National Park lava flow. Photo courtesy National Park Service. Yearly Hawaii Tri-Park Pass - $30 for vehicle entrance (all passengers) or individual access by foot or bike (some accompanying immediate family members also covered thru individual access) to Hawaii Volcanoes National Park, Haleakal? National Park, and Puuhonua o Honaunau National Historical Park. Temperatures vary by elevation and are unpredictible. Wear layers of clothing and prepare for rain. At the summit of Kilauea, 4,000 feet above sea level, the temperature will be 12-15 degrees below the sea level temperature. Lava splashing into the ocean at Hawaii Volcanoes National Park. Photo courtesy USGS. Right: The photo above shows the Volcano House and the rim of the volcano as it looked in 1902, a unique lodge built originally in 1846. It now also houses the Volcano Art Center. Photo courtesy Library of Congress. This is an active place. An active volcano spewing lava and ash on its way from the 4,000 summit of Kilauea until it enters the sea with a steam crash of hot lava with the cool ocean waters. It relays the history of the awesome islands of Hawaii in its most raw, natural sense. Yes, it is beautiful. But it is a beauty showing the power of nature to change landscape in powerful proportions." Volcano House - Stemming back to 1824 when Chiefess Kapiolani built a grass shack on the crater rim to denounce the volcano goddess Pele. Twenty-two years later, a more substantial grass house was built and named Volcano House by Benjamin Pitman, Sr. It was upgraded over the years, last in 1941 with 30 rooms, and visited by Mark Twain and Franklin Delano Roosevelt. It now also houses the Volcano Art Center. Kilauea Eruptions - These, in local lore, come when the goddess Pele is angry. 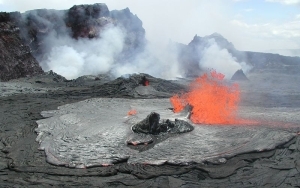 Since the eruptions of Kilauea and four other volcanoes have been credited with forming the chain or islands, it has been a significant vent. First eruptions - 300 to 500 years ago. Circa 1790 - Causing the death of up to 5,000 warriors of King Keoua and their families. 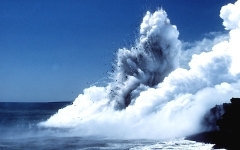 Since 1900 - 45 eruptions, including Maunu Ulu which began on March 24, 1969 and lasted five years. The 1983 eruption that began on January 3 still continues to this day. 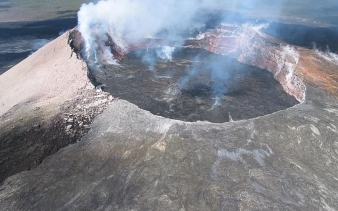 On March 19, 2008, the Halema'uma'u erupted for the first time since 1924. 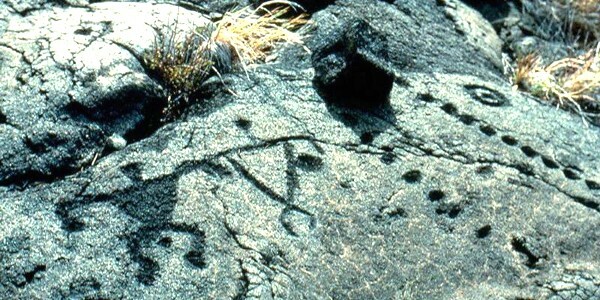 It scattered rocks over a 75 acre area, but did not emit lava. Photo above: Not always thought of as being associated with the park, there are Petrogryphs here. Courtesy National Park Service. Photo below: Park visitors being shown by a park ranger the direction across the caldera of the Visitor Center and Jaggar Museum. Courtesy National Park Service. Hawaii Volcanoes National Park represents a geography like no other in the United States, with an active volcano, rain forests, desert, and the sea. And it's been doing this for a whole lot longer than the National Park Service, perhaps for seventy million years or so. The service does a wonderful job of interpreting the site through ranger walks, the maintenance of the Crater Rim Drive, and powerful films and presenations at the Visitor Center and beyond. 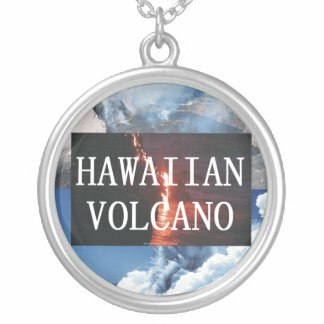 Hawaii Volcanoes represent how Hawaii began in its literal sense. 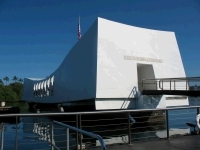 While many think of Pearl Harbor when they think of Hawaiian history, the beginnings of the beautiful islands started in its nature and volcanoes. Hawaii Volcanoes National Park represent one example of these beginnings. It is located on the southern end of the big island of Hawaii and is nearby Mauna Loa (part in park) and Mauna Kea, as well as three other Hawaiian National Parks, too. You can visit the park in one day, but more than that allows you to take in all the sites and is recommended if what you love is nature, history, and spewing earth. This volcano erupted only 50 short years ago and you can view it from the many vantage points, whether the summit caldero or near the sea where the lava has been flowing since the Pu'O lava tube spewed back in 1983. The Kilauea Volcano- The lave tube at Pu'O O'o has been continuously spewing lava since the last major eruption in January 3, 1983. It continues to provide flows to the sea, some 11 to 12km, and has extended the earth 93 acres into the ocean. Nature and History in the Park - From caves created by lava tubes to three hundred archaelogical sites to cultural landscapes and historic structures. 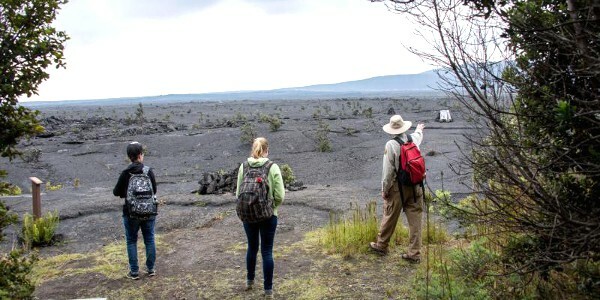 Hiking at Volcanoes - There are many opportunities to hike your way around the park. For those wanting a short trek, try the Earthquake Trail that runs for one mile from the Volcano House parking lot over the old Crater Rim Drive that was damaged during the 1983 earthquake, a 6.6 magnitude shake. Hawaii Volcanoes National Park T-Shirts and Souvenirs from the official merchandise of America's Best History. 1. Take a ranger guided walking tour. There are several to choose from each day, plus special walks. How It All Began, Summit Walk, Kahuku History Hikes, Stewardship at the Summit, and After Dark in the Park programs are some of those offered. 2. Drive the Crater Rim Drive. This drive takes you to many of the best spots in the park, including the summit of Kilauea Volcano, the Thurston Lava Tube, and the East Rift. The Chain of Craters Road completes the 20 mile journey that will descend 3,700 feet over the course of the drive. It takes you from the heights to the coast, through a variety of landscapes that are awesome to behold. The full tour can take up to four hours, although shorter versions are available. Photo above: Wayside and vista along the park road. Courtesy Historic American Buildings Survey, 1998, Library of Congress. Kilauea Visitor Center - Renovated in 2005, the visitor center houses exhibits on island formation, arrial of life, the rain forest, and a lot more. The visitor center film, "Born of Fire, Born of the Sea" is shown on the hour. It is 25 minutes long. The visitor center is located near the park entrance, open all year long from 7:45 am to 5 pm. The Volcano Art Center - The Art Center is located in the Volcano House complex. Photo above: The crater at Hawaii Volcanoes from the air. Courtesy United States Geological Service. 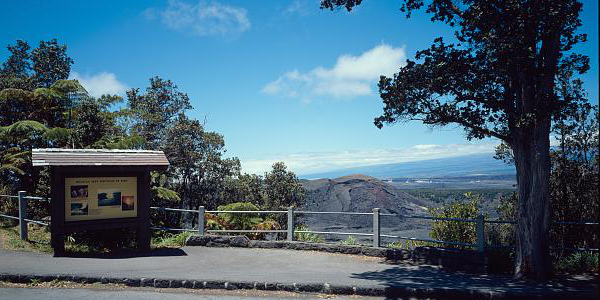 A unique place to stay, the Volcano House is the only lodging available within the park itself. It has 42 rooms and is located a short distance across Crater Rim Drive from the park headquarters and Kilauea Visitor Center. There are two campgrounds in the park; Namakanipaio (located 31.5 miles south of Highway 11 at 4,000' elevation) and Kulanaukuaiki (5 miles down on Hilina Pail Road at 2,700' elevation). Both are currently free of charge. There is both camping and lodging available around the island outside the park. 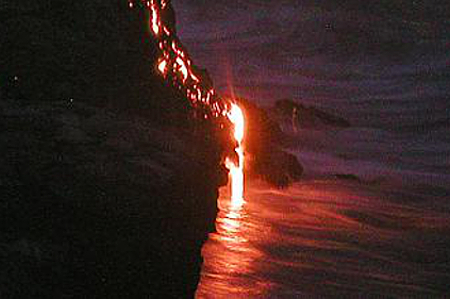 Photo above: Lava flow at night. Photo courtesy United States Geological Service. Volcano House on the rim of the Kilauea volcano in 1912. Courtesy Library of Congress.